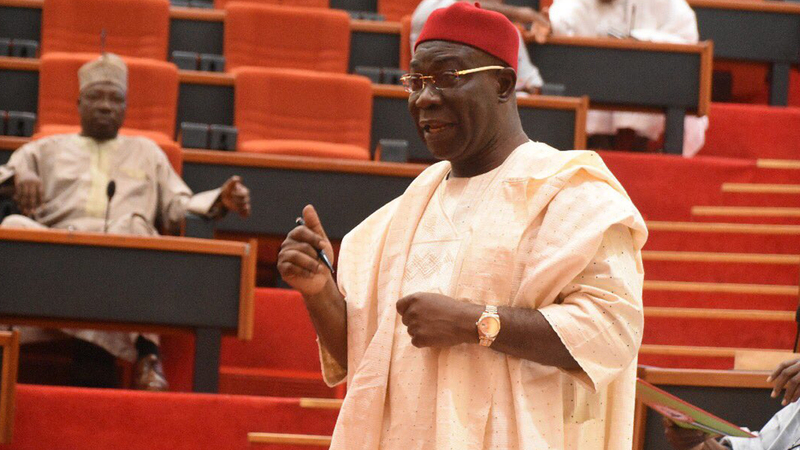 The Deputy President of the Senate, Ike Ekweremadu, has urged Nigerians to lead by example in whatever capacity they find themselves and shun hate speech. Ekweremadu made the call in Enugu at the inauguration of the District Governor of Rotary International, District 91422 Nigeria, Dr Dan Ajawara.According to statement by his Media Adviser, Uche Anichukwu, on Saturday in Abuja, Ekweremadu said, “It is not enough to preach against hate speeches. “We must also guard against hate conducts in our various capacities because hate conducts are not only worse than hate speeches, they beget hate speeches, strife, and restiveness. He said people were better influenced by actions that promoted peace, tolerance and love. He commended Rotary International for “awakening mankind’s consciousness and steering it on the path of empathy, love, tolerance, peace, humaneness, justice, equity, egalitarianism, and development”. According to him, one good action inspires more than a million tons of words unmatched by exemplary personal conducts. “It is not enough as a priest to preach love. It is more inspiring to live love. As a teacher, it is not enough to preach to students to behave well. “They will be better influenced and inspired by your exemplary conducts as a teacher. In our homes, the children learn better from our personal conducts than our sermons and instructions on codes of conduct.”Ekweremadu said that same applied to Nigeria as a nation. He said, “the country is more divided today than at any other time in her peacetime history.“Today, when the National Security Council meets, some sections of the country are totally shut out.“All pleas to the President to address this dangerous precedent have not been heeded despite various promises. ” As leaders at our various levels, we must emulate those special virtues of Nelson Mandela – forgiveness, egalitarianism, love, tolerance, equity and justice in our personal conducts in order to inspire unity, peace, and patriotism,” he said. He further urged the citizens to exemplify the kindheartedness of Mother Teresa, the non-violence and selflessness of Martin Luther King Jr. and Mahatma Gandhi, and the tenacity of Chief Obafemi Awolowo and his commitment to human capital development and excellence through hard work. He noted that only by such personal and exemplary conducts would there be peace, unity and development in the society.He urged Nigerians, especially members of the Rotary International to stand out as shinning lights in their generation, starting from their immediate environments. “You do not need to wait until you are able to inspire the entire world.“Start from your little corner in that hospital, law chamber, pubic office, classroom, corporate office or shop. “Start from your neighbourhood. You never can tell who is watching.“Let us uphold the sanctity of human life, the dignity of the human person, and superiority of justice, equity, tolerance, love, and peace,” he said.